STACK Expert Courtney Hudson offers a 30-day challenge to help athletes improve their balance. To improve athleticism, athletes need to do more than just play sports. Playing sports can improve your athleticism if you are coached on technique, rhythm and body flow. For the majority of athletes, balance training can greatly reduce unnecessary movements, leading to more powerful and accurate skills, quicker cuts, faster acceleration and a reduced risk of injury. Sound important? Yes, balance training isn't just for gymnasts. Every athlete needs a foundation of balance to excel in his or her sport. 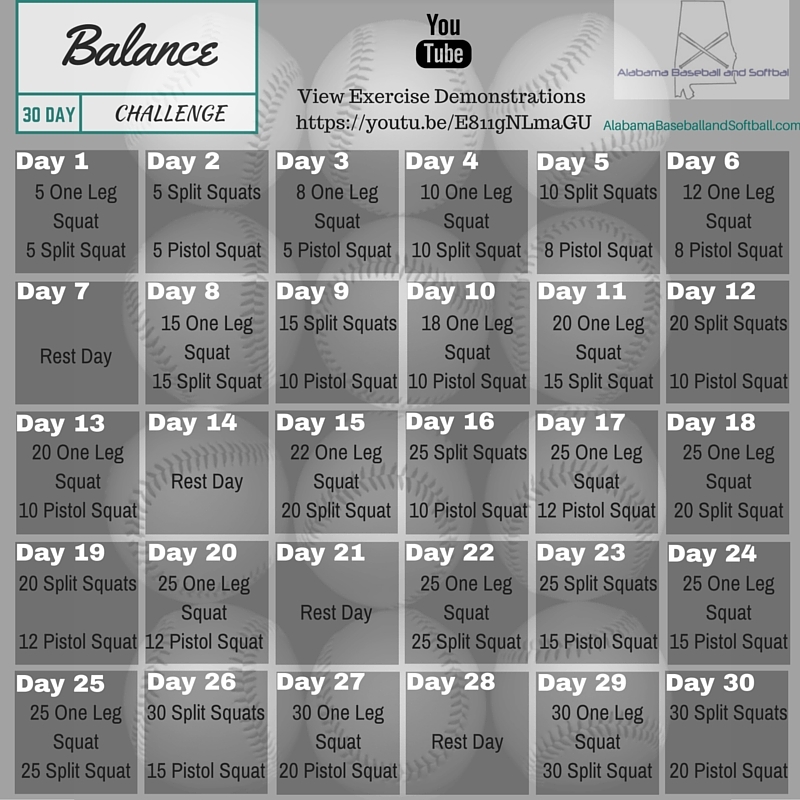 The following 30-day challenge will help you kickstart your balance training. 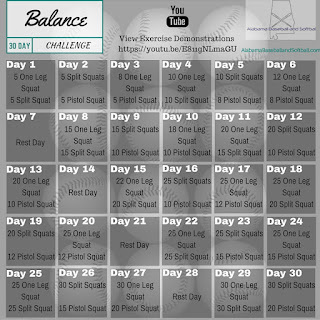 The challenge includes three exercises that focus on the ankles, knees and hips and that help to eliminate imbalances on the non-dominant side of your body. Balance on one leg, bend from the knee to touch the ground, then stand back up. Complete the exercise without letting your opposite leg touch the ground. Elevate one leg behind you. Lower your back knee toward the ground, feeling a stretch in your hip. Return to the upright position. This exercise improves hip flexibility and mobility as well as strength and balance. Stand in front of a box, bench or chair. Keep one leg straight and extend the other leg in front of your body. Slowly lower your body, balancing on one leg, and rest on the box. With one leg still extended off the ground, push through your heel and return to standing position. For immediate improvements, take the challenge. But after the challenge, I recommend incorporating these exercises into your regular workouts to improve this essential skill.